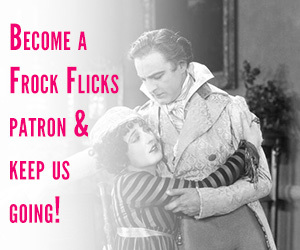 Some historical costume movies and TV series we love just because. We saw them when we were young or they were based on a beloved book or they feature a certain song or or we saw them at a special time in our lives. But after a while, we have to wake up and realize that these movies and TV shows are crappy history. They’re BS nostalgia, set in a fantasyland that doesn’t and never did exist, made up by Hollywood myth makers simply because it was easy and looked good on the actors at the time. During Snark Week, we’re here to burst your bubble. This movie has a pretty specific timeline, what with World War II and Hitler advancing and stuff. I’ll give the nuns’ habits and kids’ dirndls a pass, but everyone raves about the Baroness’ high fashion when the lady is wearing 1960s haute couture, not 1930s. I’ve mentioned this before, Grease is not the one that I want. It’s 1970s disco schlock with the tiniest veneer of 1950s rockabilly. And the actors are way too old to be high schoolers. RIP Robin Williams, oh captain my captain. 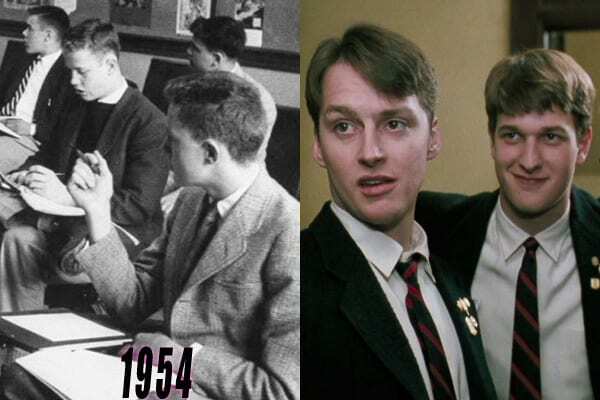 But you and your students don’t get a pass for their 1980s hair in this 1950s flick. Get a haircut or at least get some Brylcreem and slick back those floppy bangs. Did you have the time of your life? 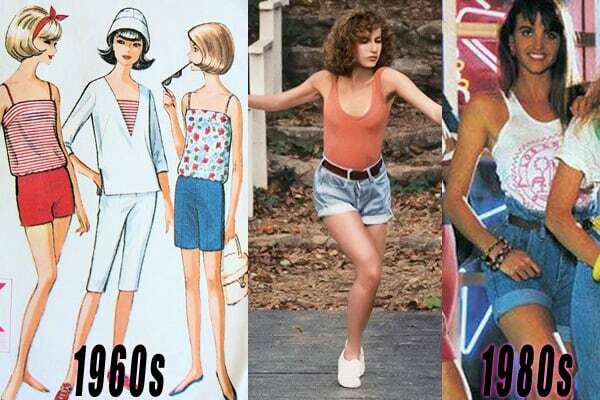 Supposedly, that time for Dirty Dancing was the 1960s, but um, no. The clothes and the hair are pure 1980s. Now put Baby back in the corner and get over it. 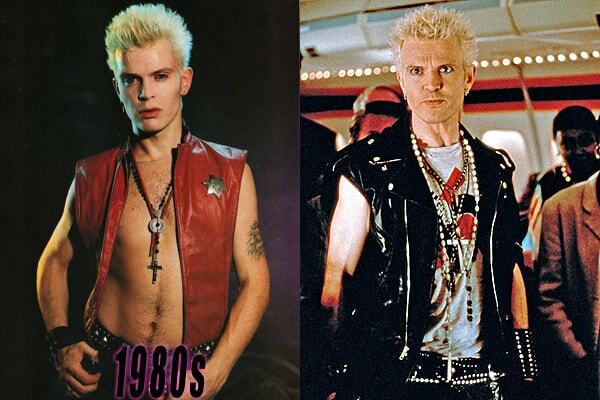 I don’t understand how it was possible for Billy Idol in 1998 to do a cameo as himself in a movie set in 1985. He knows we can see him, right? I was there in the ’80s, he looked younger then. So did I, and you didn’t see me faking being 13 years younger, FFS. What are some other movies that pit your nostalgic memories against historical accuracy? Elizabeth with Cate Blanchett for various history faux pas. I watched a bunch of westerns as a kid, both movies on TCM and AMC (back when it showed actually old movies) and reruns of The Big Valley and Bonanza. Thinking back, I doubt either of them did that well (Michael Landon’s hair at the beginning of Bonanza is totally 50s heart throb, and not 1850s), but Big Valley probably is worse, because it had two female main characters. I don’t remember ever seeing a bustle on the show, but ostensibly it was set in the 1870s. Also, in the first season they tried to cover up how short Barbara Stanwyck’s hair was with wigs and snoods, but eventually just gave up. Actually neither show stuck with where they were in time in relation to the Civil War, so they both ended up being a mishmash with huge hoop dresses some of the time and very 1960s hair all of the time. Still… I have CBS all access for a month (to facilitate some sports ball watching) and I may go in for a few eps! 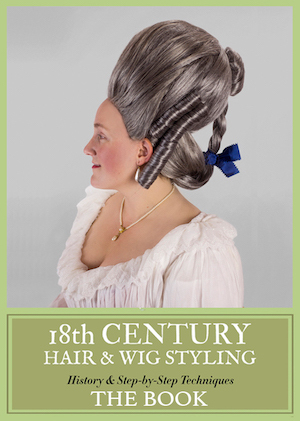 Westerns are SO bad for historical costume, with only a few recent exceptions! I thought the costumes in Woman Walks Alone were pretty decent, but the story was a letdown. Can I get a good story AND good costumes? … maybe not. Dad took me to see The Great Race in 1965 when it first came out. I don’t recall the occasion, that it was just him and me without Mom and the other 4 kids. I’ve watched this move numerous times since then and there’s no way you can ruin it for me, although I’ve never succeeded in counting all of Natalie Wood’s costume changes. 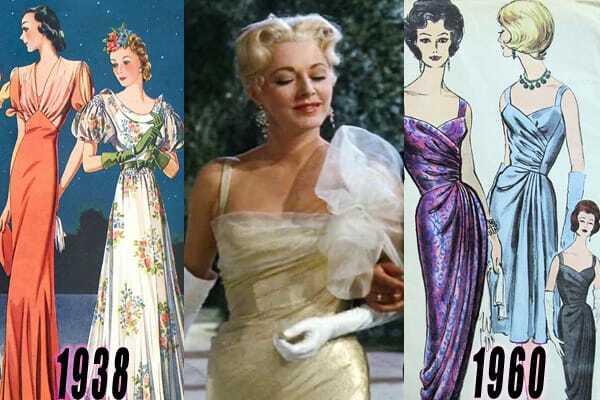 I love Singin’ in the Rain, but yes, the 50s version of the 20s clothing! There’s that one sequence, “Beautiful Girls,” with all the different costumes…they’re fascinating but also not exactly period. Thoroughly Modern Millie has the 60s version of the 20s, which is even more fun to watch and poke holes in. But you’ve gotta love the segment where her breasts ruin the look of her beads! The bursting breast-binder is my favorite moment in the film. Yes! I was looking for bullet bras on the list! It would have been my selection. That 70s version of Persuasion, in all its polyester glory, with 70s hair, 70s coloured clothing (everyone is in green and brown and orange) and 70s coloured soundstages. Oh is it bad. But I still love it because I saw it before I saw any other adaptation, which definately existed at that point). MAME! I grew up totally confused because of that movie. 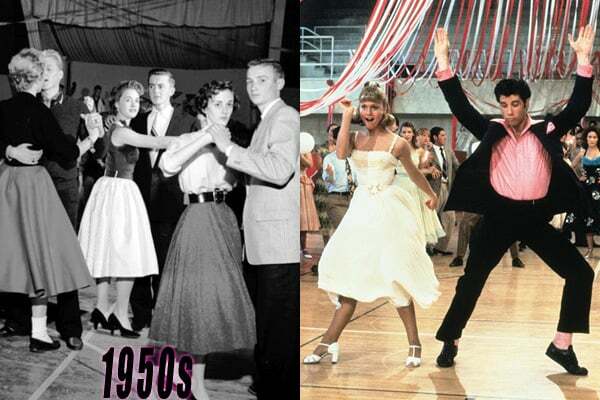 I thought there was another depression in the 50s. I was so shocked when as an adult I found out it took place in the 20s-30s. And every cowboy movie or tv series. And any American historical movie made in the 60s? Auntie Mame (Rosalind Russell) confused me, too. 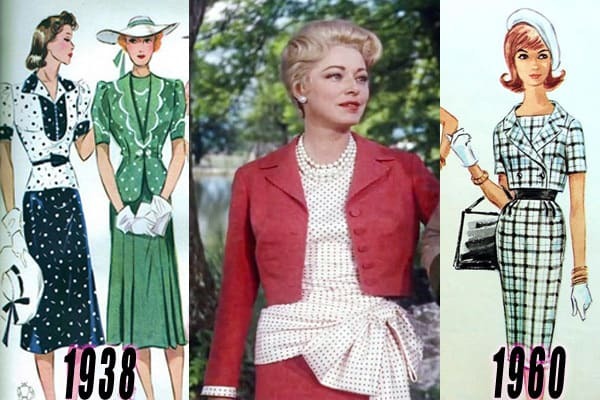 By the time I saw Mame (Lucille Ball), I knew what the timeline was, but they still didn’t get the costuming right. Better, slightly less confusing than the original, but really, people, was it that hard to do the 20s-40s? I’ve chosen to ignore the period issues in Auntie Mame and simply bask in the glory that was Rosalind Russsell’s wardrobe. Defines timelessness for me, and I’d wear pretty much every outfit she had if I could. I’m with you. Just once in my life, I need to find an occasion to wear those glamorous hostess pants with that glorious, russet train. the one hard pass, though is that conical hat with the dangling cherries, That’s just silly. I remember my mother turning her nose up at Grease about them wearing pantihose not stockings. I think I had early onset snark because of her. But it was SO true – yes they had big fluffy skirts and Sandy’s hair flipped, but her final number costume was pure Pat Benatar. 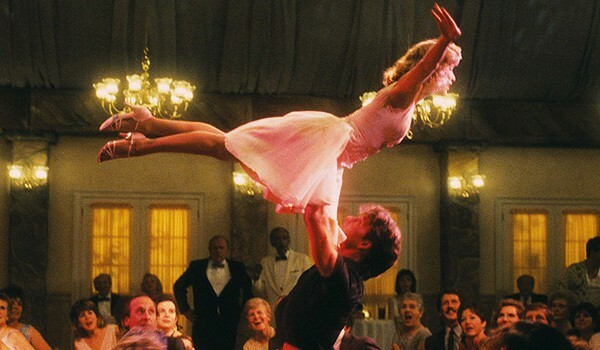 Same with Dirty Dancing. And the Wedding Singer? OMG!!! Not just the prematurely aged Billy Idol but the 1993 skater dress and bolero, among others, mixed in with ealry ’80s leather and lace fashion. i mean COME ON, it’s not like vikings and Ancient Rome where the costumier is trying to fill a gap of knowledge- we were alive!! And you just don’t mix one end of a modern decade with the other, nobody does that in real life. Gah. Thank you for the chance to get these things off my chest! 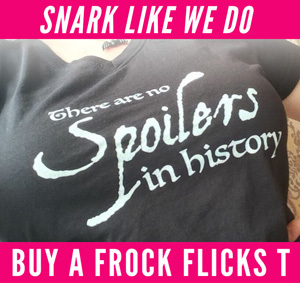 Early onset snark – love love love. I am screaming laughing, but pretending I am coughing at my desk at work, at the Grease review. And Billy Idol. Thank you. I saw Amadeus at a formative age. However, I got over it. WAY over it. Last time my teenaged sister visited me, I introduced her to Seven Brides for Seven Brothers, which was my favorite musical growing up. Let’s just say the themes do not translate well to the modern age, and she was horrified. Meanwhile I was horrified at the men in loose coats out in the snow and the women dancing in their corsets and undergarments in the middle of winter in the attic. Any thoughts on “Atomic Blonde”? I thought 1989 was done reasonably well, at least for the women. Also, has a fantastic soundtrack. I worked at HBJ (book publisher) and I laughed myself sick when one of the students was given textbooks that were JUST published, with laminate covers and shrink wrapped desk set that was sold in a store I worked at (walden books.) I also loved the modern light switches. SO VERY much was wrong in that film that detracted from the story.